William H. Avery, 88 of Brownsburg, Indiana, passed away January 13, 2019. Born February 12, 1930 in San Juan, Puerto Rico, he was the son of the late Hazelton Small Avery and Mabel Morin Avery. He married Bonnie Booher Lantis on March 10, 1979 and they resided in Hastings, Michigan before retiring in Indiana. William was a U.S. Navy veteran. He worked for Hastings Mutual Insurance Company for 24 years, retiring in 1995 as the manager of loss control. He was a member of Church @ Main in Brownsburg. Survivors include his wife: Bonnie Avery; children: William Avery, Jr., Berry Avery, Barbara Avery Caris (Roger), Robert Avery (Karen), Bart Avery; stepdaughter, Pamela Wagley (David); and many grandchildren and great grandchildren. He was also preceded in death by his siblings Mary Avery Sherwin, Hazelton Avery and Charles Avery as well as his first wife Betty Collins Avery. 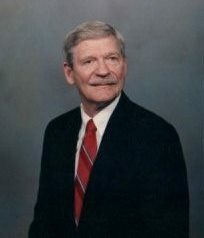 Bill enjoyed many hobbies including cooking, entertaining, gardening and woodworking. A memorial service will be held Saturday, February 2 with visitation at 2:00 p.m. followed by the service at 2:30 p.m. at Church @ Main, 1500 East Main Street, Brownsburg, Indiana 46112. Hall-Baker Funeral Home, Plainfield, Indiana is in charge of the arrangements.